In a recent post on his Instagram page, Colt offered himself up as a menu item up for purchase. He captioned the post: “Better than asking for donations I guess.” Yes, you heard that right. Colt is for hire. The post further states that featured “Rent Me for Valentine’s Day” packages include The Friend Zone for $20, the Romantic Dinner for $50 and the Love Birds (which includes a kiss!) for $120. The most expensive menu item is the OMG Are They Dating at a hefty $300. However, this includes starting to date Colt today, a Facebook album and relationship status updates! Although this exotic menu of Colt seems tongue-in-cheek (I hope! ), it made me wonder. What other romantic services could the desert Romeo offer up to an eager public? Dinner with Colt and Debbie Johnson for $200? You can share a romantic meal of her flavorless Crock Pot beef stew with the uncomfortably close duo. Maybe Cat Cuddling with Colt at $150. Dressing a cat is $25 extra. The Hotel and Slot Machine Package for $250 might be a good option. It includes a one night stay at Casa Johnson and $20 in quarters for the dining room slot machine. And airport limousine service in the Johnson’s battered, air conditioning challenged Kia. Plus the exclusive use of an old bathrobe left behind by Larissa. Only the best in Las Vegas! Just remember ladies, Colt does like to flirt with other women in public, especially if they compliment him on his glasses. If that happens, full payment is still expected. No refunds or exchanges are allowed. It is possible that Colt is using this post as another public dig at Larissa? 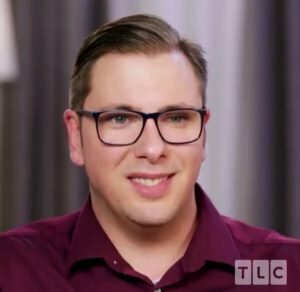 Or some of his fellow 90 Day Fiance castmates, like Jay Smith, Ashley Martson or Steven Frend, all of whom have solicited money online in recent months. But, think about it. With those folks, you would only be sending them cash with no return on your money. Investing in Colt, you might get a kiss. Or a shot at love. Or, better yet, a chance at social media fame! TELL US- ARE THERE ANY ITEMS ON COLT’S LOVE MENU THAT WOULD TEMPT YOU? WHAT SERVICES WOULD YOU ADD TO COLT’S MENU? WHAT DO YOU THINK COLT WILL DO NEXT IN HIS QUEST FOR ATTENTION?